That’s precisely why race karting has experienced an exponential surge in popularity over the past decade or so. Karting is more affordable and incredibly competitive, with competition on the international stage. Make no mistake. Kart racing is not child’s play. It’s fiercely competitive. It requires training and skill as it can be dangerous. Those Formula One, IndyCar, and NASCAR race car drivers you follow? The vast majority of their careers began as beginner kart drivers. If there is a “Godfather of Go-karting” it is Alan Rudolph. Rudolph has won national championships and has spent years competing on the international pro circuit. Now retired, he is a coveted karting coach based in the Houston area and training beginner and pro drivers alike. We’ve asked him to share some tips for those who are new to karting, or contemplating getting into the sport for the first time. When you first learned to drive, you probably didn’t slide behind the wheel without taking driver’s ed or spending plenty of time being instructed by a licensed driver. You may know how to drive a regular car, but until you have received expert instruction, you are not qualified to safely and efficiently race a go-kart at top speeds! Sometimes spending more upfront will save you tons of money in the long run. Another common mistake that newcomers to the sport make is buying a kart that needs a lot of work. Buying a fixer upper can be a great investment to experienced kart drivers. Those who are just starting out will usually be much better served spending a little more money for a kart that’s racetrack ready. Not looking far enough ahead so they can make needed adjustments. Driving on the wrong driving line. Entering the corners driving way too fast, which is causing them to overcorrect and end up with a poor exit speed. Karting is fun, accessible, affordable sport that continues to grow in popularity – and to launch successful motorsports careers. If you feel the need for speed, by all means give it a go! But give yourself a fighting chance to show what you can really accomplish by getting expert karting instruction as you learn the ropes. 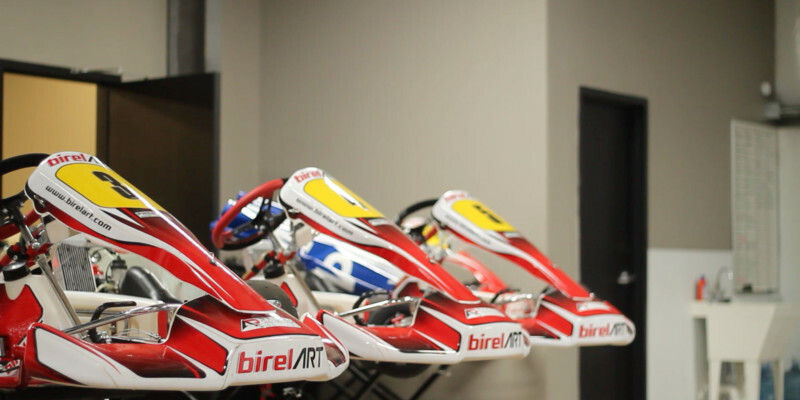 If you are in the Greater Houston-area you can get expert kart coaching from Alan Rudolph in his Intro to Karting class.